I am 185 cm, 88 kg. I want to get bigger but do not want much water retention. Year ago I made a cycle of deca only. I just wanted to know how/when to take nolvadex (I know for clomid). 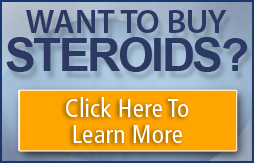 I will be glad to see opinions and recommendations from other steroid users. Is this combination good or do you recommend another - I can choose another AS one because I have access to almost all of them. IMO opinion Nolvadex won`t help much with water retention. I would go with armidex if you don`t want look like a baloon because of omna . If I were you, I would go about 9-10 weeks not 6, bump deca to 400mg, d-bol at 20mg for 4 weeks, and add some winny at 4 last weeks, he will help you keep gains after "omna bloating". Jason I respect your knowlegde, but IMHO opinion he doesn`t need 500mg omna per week. That is his second cycle, and the first one was about year ago, so I think 250mg will be enough, the same is with d-bol, I don`t think he need so much). I remember my first "cycle" when I was young and stupd . It was only d-bol cycle, pyramiding 3-4-4-4-3-2 and I got about 20 pounds, so I think dosages I mentioned would be enough (anyway I lost everything after that "cycle", I even didn`t know what Clomid is ).